Webb's Scenic Surf has been family owned and operated for 3 generations. We pride ourselves in providing Oregon's finest lodging on the beautiful Oregon Coast by offering you rooms that are immaculately clean, each being enhanced with many personal touches. We are just the place for those of you who enjoy a homier and more peaceful atmosphere in a quiet setting. 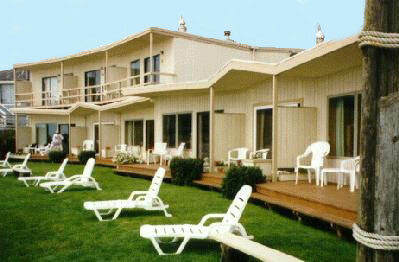 Each of our rooms has a fantastic view of The Pacific Ocean, The Crescent Rocks and The Tillamook Lighthouse. All of our 14 rooms are conveniently located only a block and a half stroll from many of the unique shops, galleries and restaurants that Cannon Beach has to offer. We believe that once you've experienced the awesome view, friendliness, cleanliness and charm of Webb's Scenic Surf, you won't want to stay anywhere else!